Priced for value and perfect for a short stay, these rooms feature beautiful amenities, an ultra-comfy bed, airconditioning. Facilities have it all with cable TV, direct dial phone, in-room safe, a kitchen designed to make meal preparation an absolute pleasure. Your private balcony is the perfect place to reflect on your day as you enjoy a pre-dinner drink. These elegant apartments contain finishing touches that can only be Peppers from luxurious amenities in your bathrooms, and all of the extras you need in the kitchen like attractive glassware and tableware. The living area spills out onto a spacious balcony where you can dine alfresco. Style, ease and sophistication is matched only by the sweeping views over the sparkling waters over the Noosa National Park's fascinating rainforest. Upstairs your balcony is a natural extension of your living area and on the lower level you’ll love the natural ambience the balconies provide to both bedrooms. Immaculately laid out on the one level, this stunning penthouse gives you superb views as far as the eye can see. 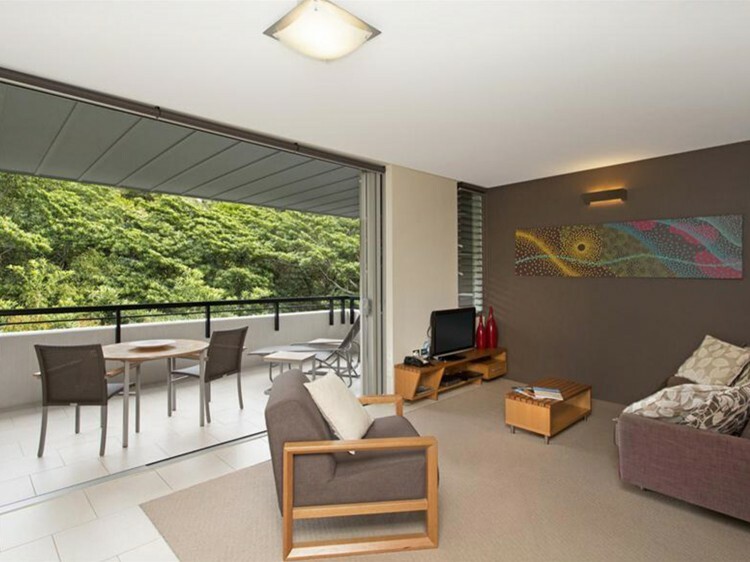 Whether you're taking in the rolling waves of Laguna bay, or being mesmerised by the fascinating canopy of Noosa National Park - you’ll never want to leave your spacious penthouse balcony. 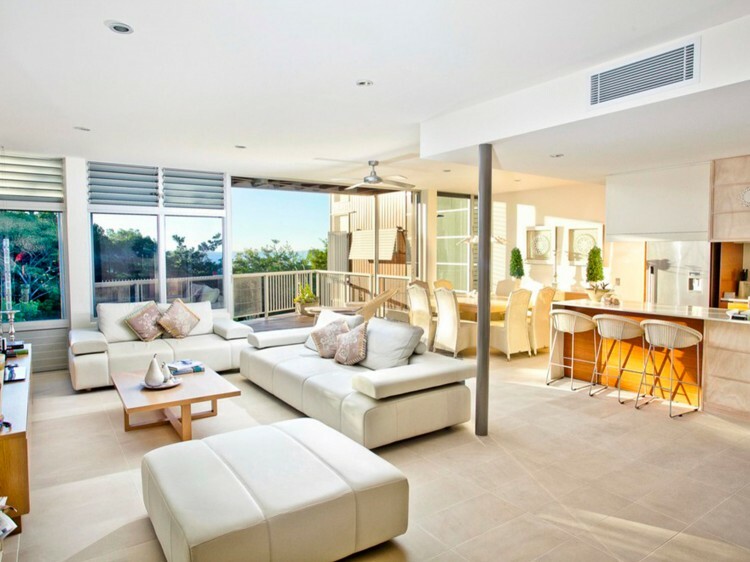 The furniture, spaciousness and impressive layout is in true Noosa style and what you’d expect of this luxurious Noosa resort accommodation. 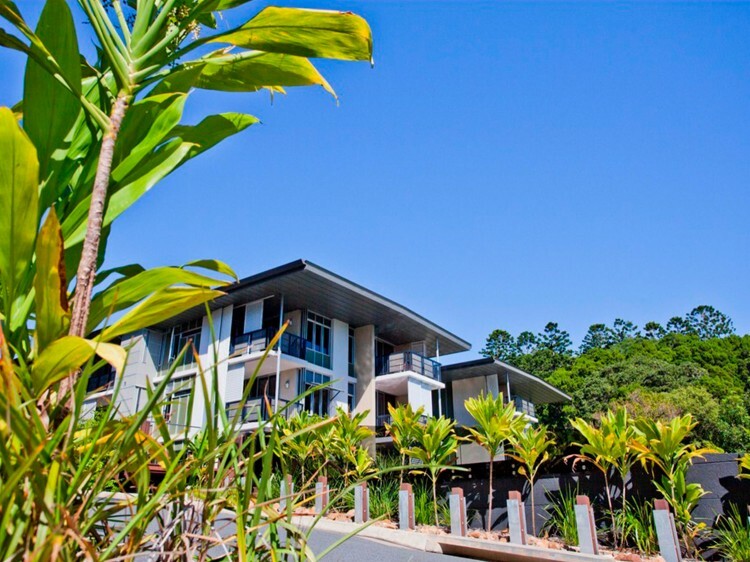 Dine alfresco out on your large balcony as you admire the views across Noosa National Park’s captivating rainforest. Each of the three bedrooms are located on the lower level of the Villa and feature private balconies along with elegant bathrooms with fine amenities and impossibly soft towels. 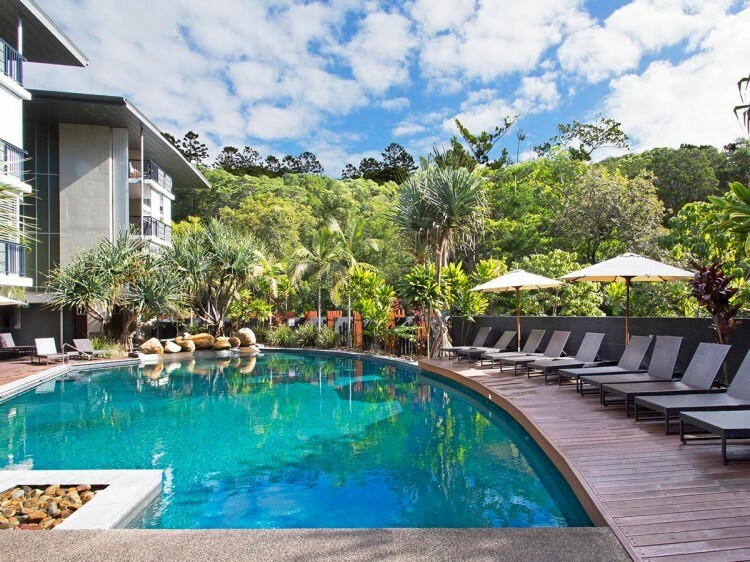 Noosa holidays reach new heights in these exemplary three level villas with balconies on every level, giving you the most magnificent views across dazzling Laguna Bay and the tranquil rainforest canopy of Noosa National Park. Everything in these villas has been designed for you supreme comfort with the very finest in furniture and facilities. Little extra touches include arrival hamper, transfers to and from Hastings St and a private garage. Two level villa . Private Garage . The height of indulgence in these skyward Deluxe Villas which are absolutely perfect for extended stays. These executive residences feature guest bedrooms on the lower level and master bedroom on the top level. On the middle level you will find superb dining and living areas that are just wonderful for entertaining or simply taking it easy. The views are unsurpassable from your balconies on every level. Little extra touches include arrival hamper, transfers to and from Hastings St and a private garage. Indulgence reaches new heights in these flawless Grande Villas that encapsulate the very essence of Noosa in style of sophistication. Designed with entertaining in mind, the impressive living area flows extravagantly out onto the expansive balcony. The sights are something to behold with endless views across magnetic Laguna Bay and the tranquil rainforest canopy of Noosa National Park. These Grande Villas are the epitome of perfection with guest bedrooms on the lower level, spacious dining and living on the middle level and master bedroom on the upper level. Little extra touches include arrival hamper, transfers to and from Hastings St and a private garage plus use of mini van* subject to availability.